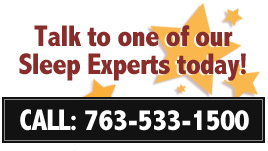 Sleep Concepts Mattress & Futon Factory has been providing the highest quality products, at the best possible prices, to customers all over the Twin Cities for more than 22 years. Shop our factory direct Mom & Pop furniture store for BIG savings on Mattresses, Futons, Futon Covers & Pillows, Bean Bags, Bunk Beds, Dining Tables, Pub Tables, Sofas, Sectionals, Rustic Log Furniture, Amish furniture & much more. We're always looking for the best quality for the price in the products that we sell so that we can pass the savings on to you! We promise to give our customers the best deals in town on all of the items you will find in our fun and unique store. Stop in today and see why our customers just can't get enough of our local, small business.